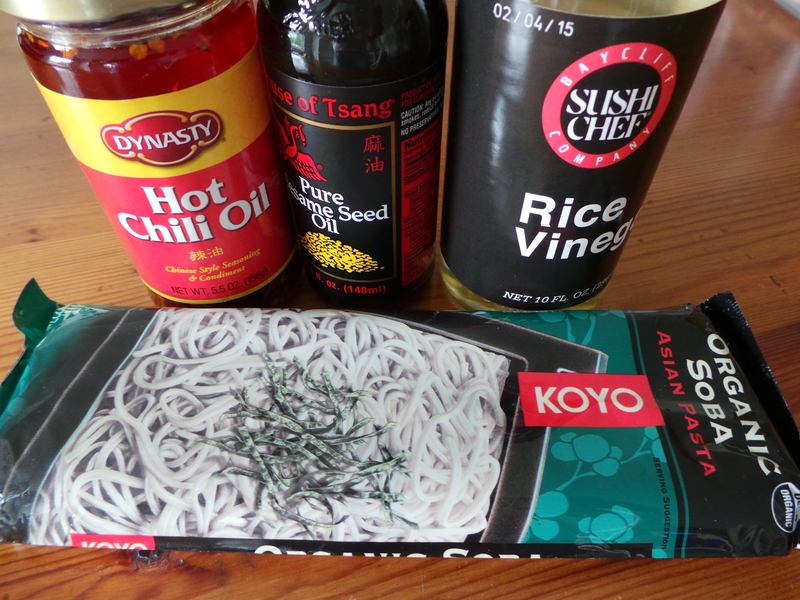 Yesterday I worked on a recipe containing 4 ingredients I’ve never used before: soba noodles, chilli oil, sesame oil, and rice vinegar. They may seem pedestrian to you but, they were new to me! Even though I have been trying to cook new recipes at least 3-4 times per week for the past 2 years, I still don’t mind when I’m directionally clueless while seeking out items in the super market; it usually turns me on to other new ingredients. I had no sense where I’d find the oils as they weren’t stocked alongside the regular canola, vegetable, and olive oil varieties. I found them in the “Asian Fusion” section and simultaneously got turned onto many other condiments and spices integral to Asian-accented dishes. 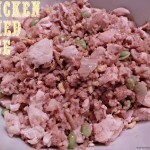 Like most others on this blog, this recipe is super easy and takes less than 30 minute to make. 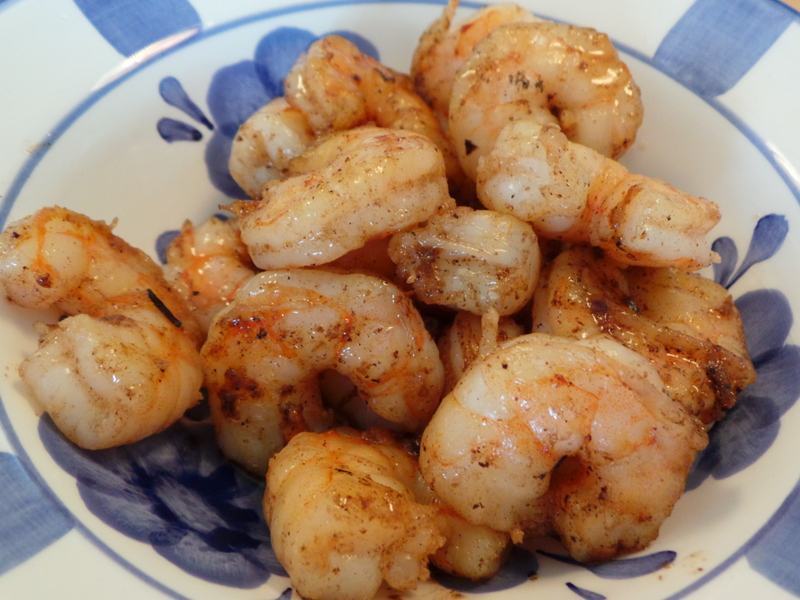 I decided I wanted to sauté the shrimp in a traditional scampi style instead of boiling them. I also used the left over sauce from the skillet in which to sauté the broccoli heads- YUM! 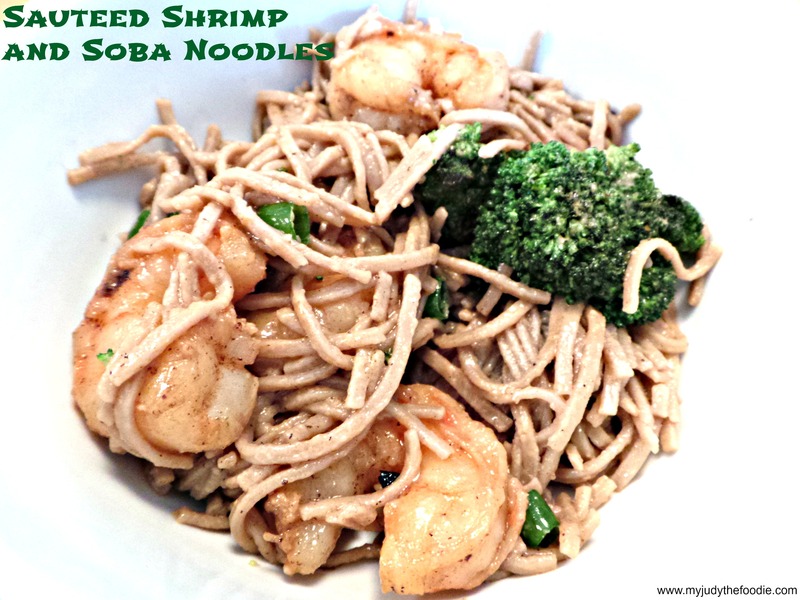 The soba noodles took 6 minutes to cook and while they were boiling on the stove, my son and I made the peanut sauce –which he now claims is chief rival to my mom’s flank steak marinade! 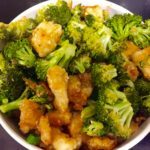 I chopped the noodles into fork-sized pieces and then added in the shrimp, broccoli and onions. I omitted the nuts. We loved our asian dinner-in-a-bowl! And, the best part? The cold leftovers I had for lunch. Go on and try it for yourself. Increase the heat to high and let boil vigorously for 2-3 minutes. Flip shrimp over and cook for another minute before removing from pan. Set aside. Bring water in a large pot to boiling. 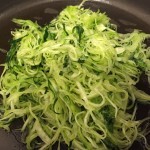 Add soba noodles and cook for at least 4-5 minutes. 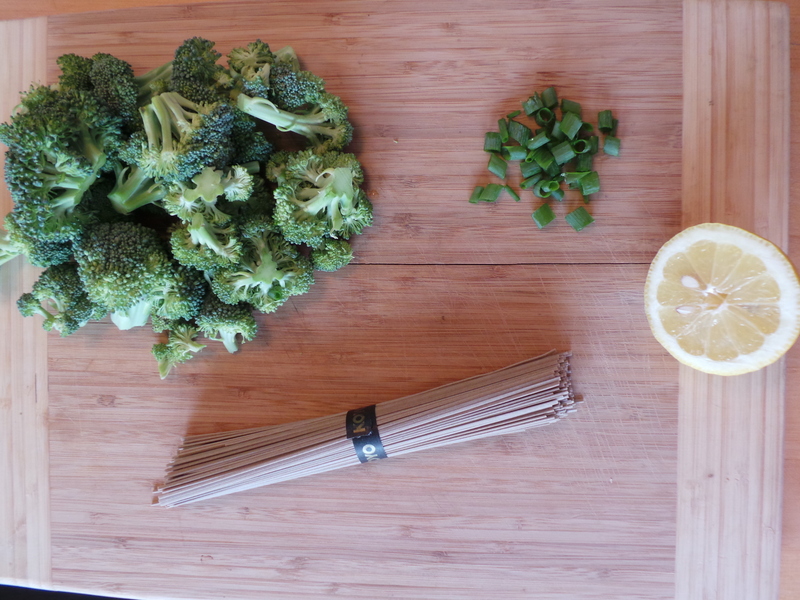 While noodles are cooking, add broccoli florets to skillet used to sautée shrimp. Use left over wine, butter, oil mixture to sautee broccoli for 3-5 minutes on medium-high heat. In small bowl mix together peanut butter and soy sauce. Add in vinegar, sesame oil and chilli oil. 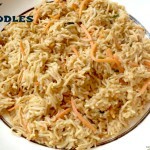 Drain noodles and add to bowl. Add in shrimp, broccoli, green onions. Pour !peanut butter mixture over top and toss to insure all ingredients are lightly coated.